• November 7th – Suffering from Election and Caregiver fatigue? 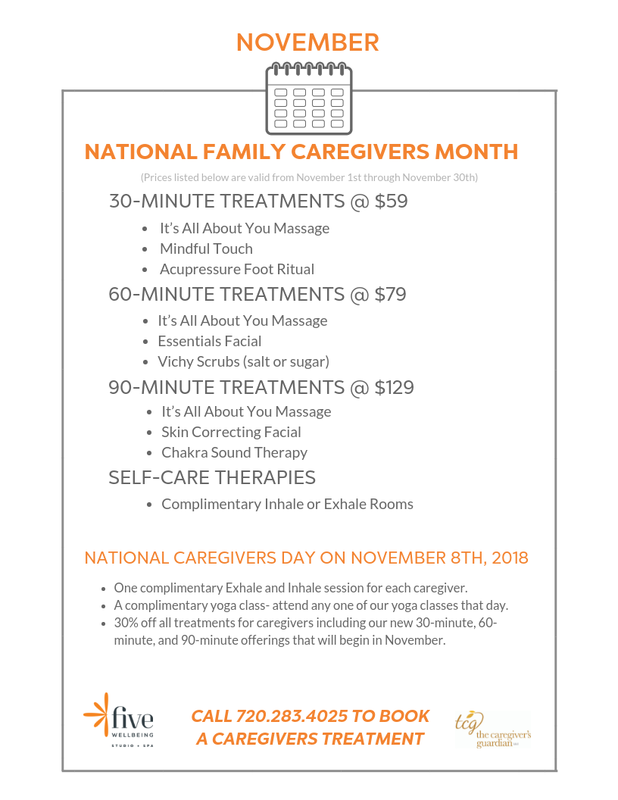 • November 8th – Caregivers Spa Day! So participating in National Caregivers Month was a no-brainer for her. Please come join us for the many options to explore self-care, we have discounts on treatments and free events all month. Come and take care of yourself, we promise you will be well cared for.